It would all begin with a foul and Dwight Howard who would convert the additional free kick to give Wizards an advantage, then would come a response from the perimeter with an Oklahoma triple, a renewed Howard would begin to have offensive impact on the game, Wizards took a slight advantage but Oklahoma's momentum in the attack would equal the game to 30 by both teams, a triple shot from Germany's Schroder would tie the match, ending the first quarter 35 - 30 in favor of Thunders. 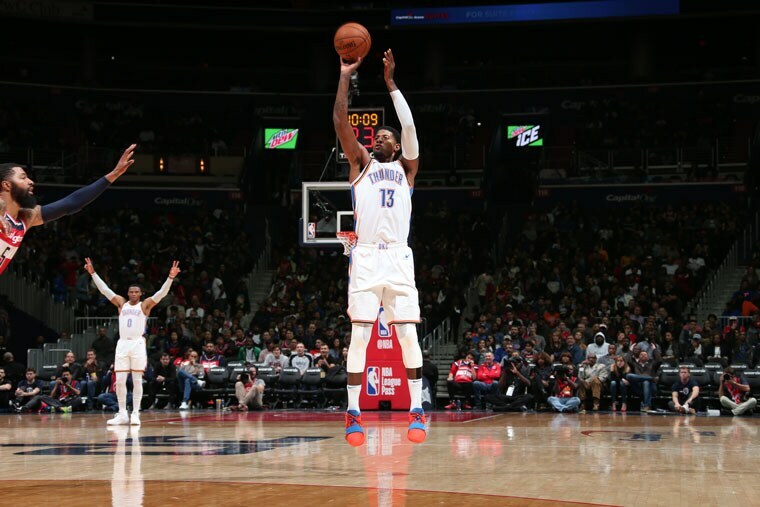 With the entry of the Oklahoma reserves were expanding the advantage, which in turn were seen with greater depth, placing the score 44-32 in favor of Oklahoma, the speed and great game of Westbrook would increase the advantage for the Thunders 57 - 40 over Wizards, then Paul George would appear to continue expanding the score, overwhelming half of the Thunders over Wizards leaving the first half 79 - 50 in favor of Oklahoma. 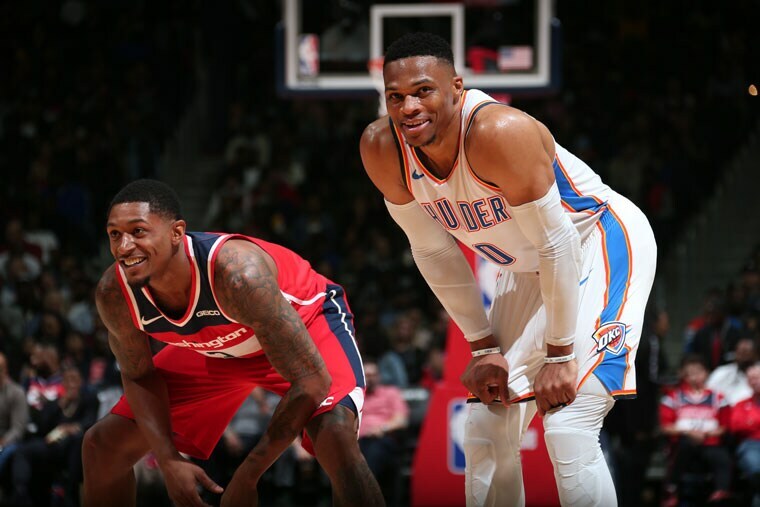 The Thunders continued hitting the Wizards who tried from the perimeter to discount, but it was seen uphill by the good game of Oklahoma, but managed to discount 19 Pts. The fourth would finish 110 - 85 in favor of Thunders. 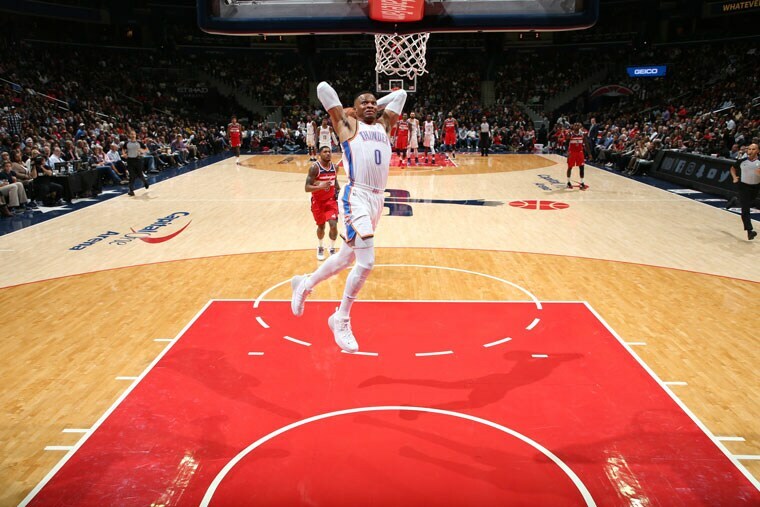 Oklahoma continued to play a fast and good basketball, continued to maintain the offensive with his bank, Wizards could not discount, finishes the fourth and ends the match 134 - 111 winning strongly Oklahoma over Wizards. Best performance Russell Westbrook with 23 Pts. 12 Ast. Let me know your opinion or impressions about the publication.